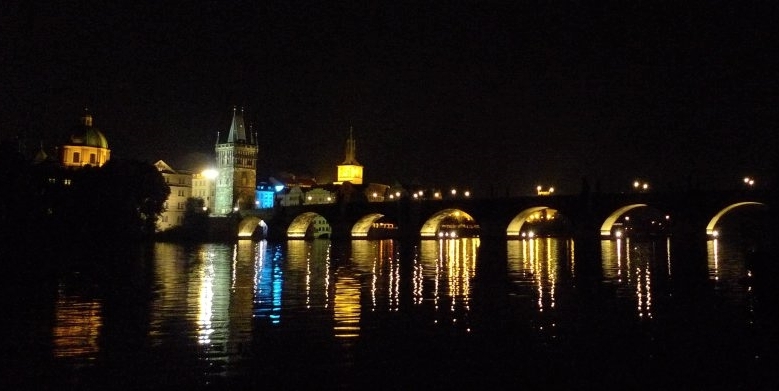 If you haven’t seen the Charles Bridge, it’s as if you’ve never even been to Prague. Everybody knows that. Which means, of course, that everybody goes to see it; and when seven million people descend upon the same old bridge, it doesn’t make for the greatest of pictures. Which is why you might want to check out these spots – and a couple of tips as well. Prague’s most famous and enigmatic writer, Franz Kafka, was fascinated by photography his entire life. It’s fitting that one of the very best spots lies right behind the museum dedicated to his works. Get all the way to the water, get down low with your camera, and perhaps wait for the sunset or the gloom of night. Don’t be scared by the ever-present flocks of swans and ducks – they only add to the ambience. Or lure them away with a few crumbs of bread! The Charles Bridge in and of itself is a marvel of 14th century engineering, and the fact that it still stands some 600 years (and 7 major floods) later is a testament to its builders (and the legendary eggshells added to the mortar). But it’s always had a special connection with the palace complex on the hill above – the Prague Castle. Standing on the embankment, with the magnificent neo-renaissance National Theatre behind you, you will get an iconic view of the monuments that define the historic city of Prague to this very day, with nearly 1800 years of history between the two of them. Letná is most famous these days for three things – hipsters, football and beer. But there was once a more striking landmark atop this hill – the world’s largest statue of Joseph Stalin. Weighing in at 17,000 tonnes, 15 metres tall and 22 metres long, it had a tremendous view of the city. 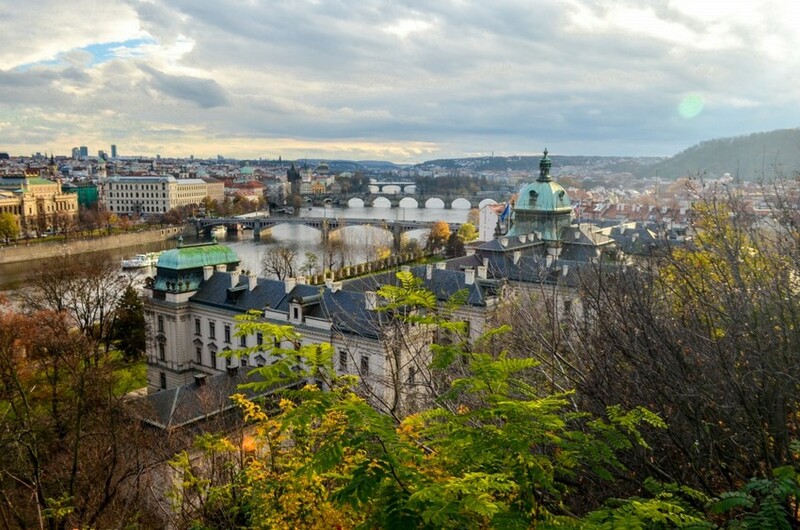 Blown up in 1962 with 800 kilogrammes of explosives, the view once enjoyed by Joseph Vissarionovich is now one of the most popular vistas of Prague. If you head from the old monument site towards the Prague Castle, the path will lead you to a point where you’re looking directly south, and the bridges of Prague’s centre line up beautifully. Contrasted with the stark modern lines of the newer bridges, it’s impossible for the Charles Bridge not to stand out. Just bring your best telephoto lens and maybe a tripod or a GorillaPod as well. 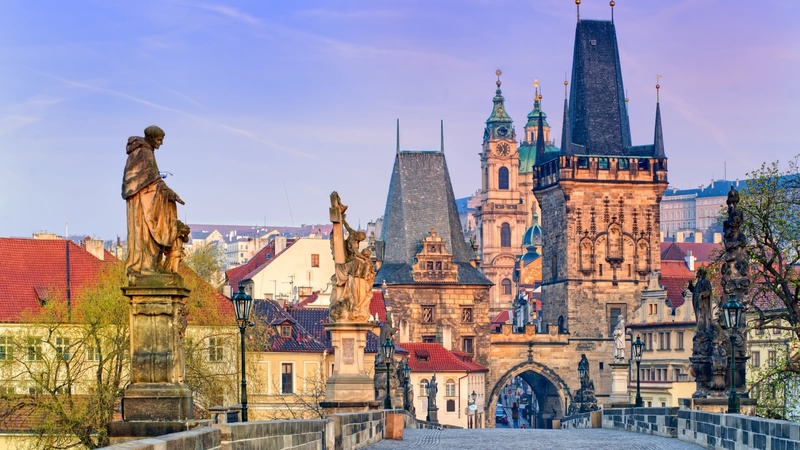 Its actual name obscured from non-natives by impenetrable pronunciation, Střelecký ostrov (the Archers’ Island) has saved the Old Town of Prague from advancing armies three times due to its strategic location. Today you’ll find here a tranquil park, a well-equipped playground and an archery range with a good six hundred years of history. 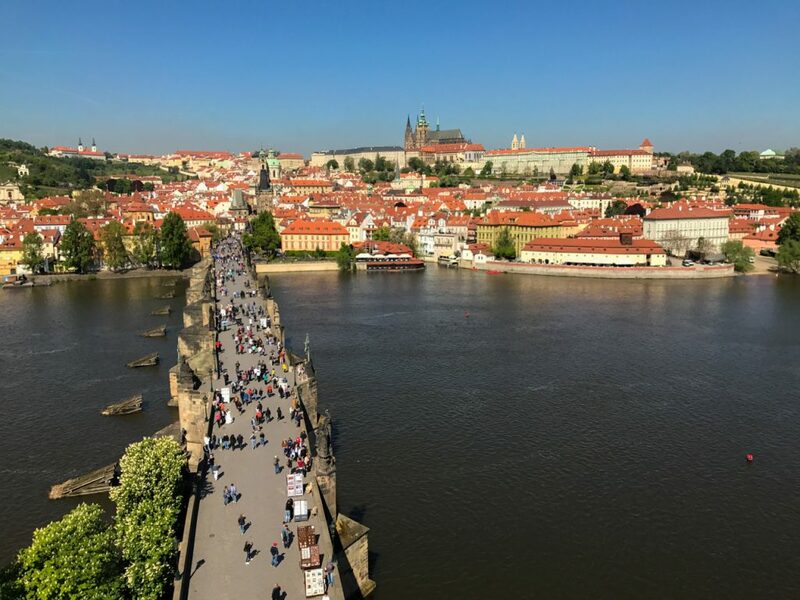 At the northern tip of the island you can reach all the way to the water and get a unique view of the Charles Bridge – you’ll be standing perpendicular to it, and so you’ll get a chance to capture its magnificent 516 metres length like nowhere else. Since the advent of superzoom cameras, the old saying “zoom with your feet” has been on its last legs. When you’re trying to take pictures that stand out though, it still holds water. But how do you get close to your subject when said water is all around it? Boats were invented for nearly this very reason. If you’re joining any one of our Free Tours, you get a chance to add on a 2 or 3-hour boat cruise. The perspectives you get from the water are unique, and not just of the Charles Bridge, but other beautiful landmarks, from the Prague Castle by the northern end of the route, past the National Theatre and the Dancing House, all the way down south to Vyšehrad and the neo-gothic church up above the river there. If you want to annoy your Prague friend, just ask them: “Could we go to the five-storey-club?” Its fame abroad baffles and bugs the locals, who can’t seem to comprehend why other, much more deserving places get none of the recognition. Your friends’ frowns will do a quick 180 when you tell them you actually want to go behind the place to take amazing pictures of the Charles Bridge and the river Vltava. Looking over your shoulder there will be a bronze statue of Bedřich Smetana, a Czech composer whose symphonic poem Moldau captured the magnificence of the river with tones long before we started capturing it with megapixels. The tower of the Charles Bridge on the Old Town side has been through its fair share of history. It was damaged by the Swedish soldiers in 1648, as well as the Austrian army during riots in 1848. Additionally, for 10 years from 1621, there were 12 severed heads hanging off the tower as punishment for revolting against the Habsburgs. You may be thinking about all that it’s been through as you’re climbing its 138 steps, but at the top, you’ll hardly be able to think anything but “wow” and “I hope I’ve got enough space on my SD card”. But mostly “wow”. As embarrassing as it is to admit, Prague is not without its shady side. Not violent, but rather super sneaky. You won’t know until it’s too late, so watch out and make sure to be a bit careful so that your camera, bags and other possessions don’t change owners without your consent. If you’re not big on sharing, the way to get the Charles Bridge to yourself is to sacrifice a bit of sleep. Nobody wants to get up early when they’re on holiday, and so the bridge is nearly lifeless before 8 in the morning. Similarly, you might get some stunning night time shots sans the crowds after 11 pm.